Fidelity’s insurance policies are available in 10 year terms, 15 year terms, and 20 year terms. Each of these policies is guaranteed fixed premiums, meaning that the rate that is paid in the first year of the policy is the same rate that is paid during the last year of the policy. This is particularly noteworthy for those who are nervous about rates increasing when a certain age limit is reached. Fidelity really shines in its ability to offer other services to stretch investment dollars even further. 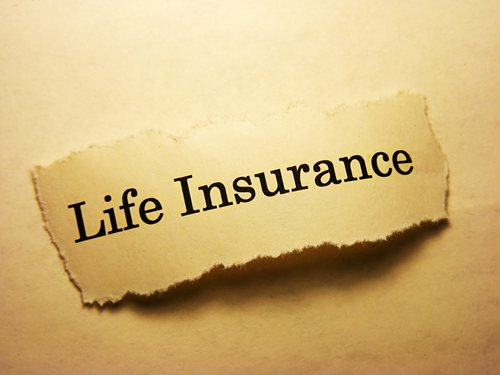 As is expected, the cost of life insurance through Fidelity is a variable amount depending on a person’s physical health or lifestyle. To that end, there are three rates that can be purchased based on these metrics. The standard rate is determined by good health and a relatively low-risk lifestyle. The preferred rate is determined by very good health, a very good family medical history and a low-risk lifestyle. The super preferred rate is determined by excellent health, excellent family medical history, very low cholesterol, and a low-risk lifestyle. 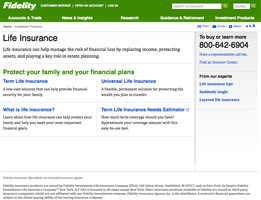 Arguably, Fidelity’s strongest suit is their vast array of free, accessible online tools that are available to assist customers looking to shape their policy. Their quotes are produced with lightning speed and Their online account management tools can enable clients to keep a watchful eye on their policy. They also boast a sizeable online learning center that is chock full of videos and informative articles. And in the event that a customer needs to speak with a live person, Fidelity’s staff is regarded as being friendly and helpful. Fidelity has a wealth of knowledge just waiting for current and potential customers to go through – all at no additional cost. For those who are inspired by these freebies to purchase a life policy, they will find a company that offers solid premium options and plenty of room to build a firm long-term investment strategy to work alongside the policy that is chosen. Thank you for reading our Fidelity review. My husband and I are always lived our lives in the moment. We never took anything too seriously and we never really planned for the future. We kind of just floated along and let life happen. When he got very ill last year, our tune really changed. We didn’t know what would happen and we didn’t know how we would be financially provided for if something happened. Thankfully, he made a full recovery, but as soon as he left that hospital, we decided that we had to be more responsible and get life insurance. 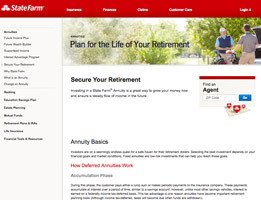 Now we both have policies from Fidelity and we can rest a whole lot easier. 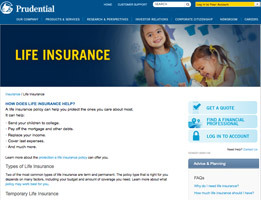 Car insurance, health insurance…. Life insurance. 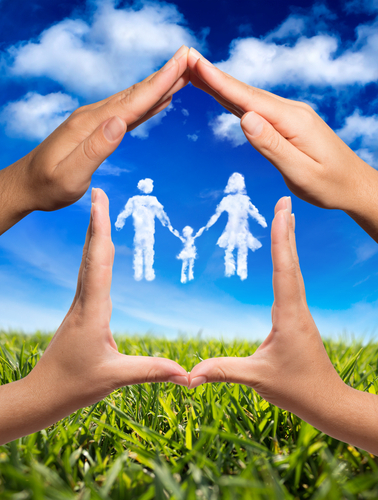 Those are the three types of insurance that are an absolute must for everyone. If you ask me, out of all three of them, the most important is life insurance. You see, my wife, rest her soul, was taken from us a few years ago. Losing her completely crippled me, but if I had to deal with the financial problems that were to come about if she didn’t have life insurance, there is no way that I would have been able to survive. Thankfully, her policy from Fidelity was able to offer some sort of peace of mind at such a horrible time. As a wife and mother, the safety and security of my family is my top concern. That’s why I decided to get life insurance from Fidelity. I am covered for 50 years and I got an absolutely amazing price. When I found out that my mother was diagnosed with a terminal illness, I thought for sure that we weren’t going to be able to keep up with the new cost that her life insurance company said we would have to pay. It figures that when there is a chance that the coverage may actually be needed that the rate suddenly goes through the roof. I had no choice; I had to look for new insurance for her. Thankfully, I found Fidelity. Not only did they say they would cover her, despite her illness, but they offered her an amazing policy. I can’t tell you how happy we are. Nobody lives forever, but your debts certainly can. That’s why life insurance is an absolute must. The only company that I would ever consider being insured by is Fidelity. They really are the best insurance company around. 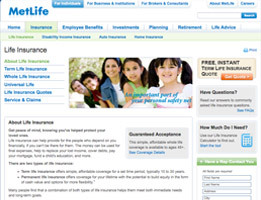 If you are looking for life insurance, you know how frustrating the process can be. It is long, drawn out and often results in nothing more than aggravation. I know. I just went through the process myself a few months ago. I had just gotten married and my new wife and I wanted to protect ourselves, so getting life insurance was the obvious decision. We researched tons of companies, asked friends and family members for their recommendations and found ourselves getting more and more frustrated by the day. We would make phone calls, go through the entire interview process, answering all the questions that they threw at us and would be quoted ridiculous prices. 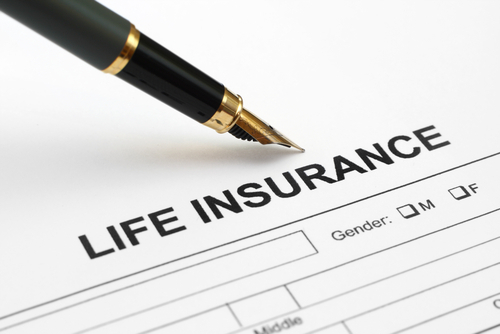 We even had meetings with agents for some of the life insurance companies that we found; and still nothing. Yes, we were getting huge headaches and we really felt like we weren’t getting anywhere. That is, until we found an ad for Fidelity. Their ad grabbed our attention because of the low prices they advertised. We decided to give them a shot. What’s the worst that could happen? Not only were we amazed to find that they offered exceptional coverage, but that they really did offer it as such an affordable price! 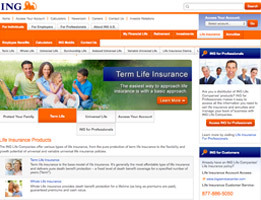 If you’re shopping for life insurance, end your search with Fidelity.